We’re Seattle-based user experience & content strategy professionals. We're Seattle-based UX architecture, design, and content strategy pros. We each have more than 15 years of experience in our respective specialities across information architecture, content strategy, interaction design, visual design, user research, service design, and more. We work great together, and also work separately, in consulting and in-house roles. Anastasia is a content strategist with complementary skills in user experience, visual design, and project management. 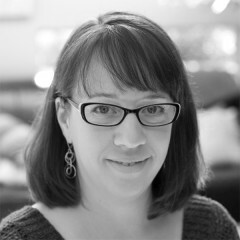 Her 15+ years of experience covers everything from high-level strategy to hands-on writing and editing for web and mobile. Throughout her career she has overseen hundreds of digital/web and print projects into being. She excells in collaborative environments, working with engineers, writers, marketing teams, legal departments, and entrepreneurs. Prior to her current role, she developed systems and content strategy for Google's Advanced Technology and Projects group (ATAP), Microsoft Cloud, and Adobe Creative Cloud for Enterprise. Anastasia's now working as a senior content strategist at Aribnb. Jay is a principal-level UX strategist, interaction designer, and information architect who fluently reads & writes code. For the past 15+ years, he's designed for a wide variety of platforms (web, mobile, and tablet) and companies (Fortune 50, start-ups, and non-profits). Jay's primary skills involve strategic planning, content analysis, user research, designing UX deliverables such as site maps, process flows and wireframes, and creating prototypes. He enjoys working within agile UX / designer / developer collaborations. 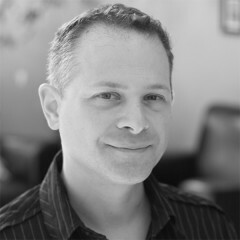 Prior to his current role, he created cross-product UX architectures for Moz and digital products for ExtraHop Networks. Jay's now working as a principal UX / product designer at Qualtrics.